I hear it all the time. Jim, why does this Facebook page have more followers than mine? How do we get that many followers to like our page? It might surprise you that we’re not at all interested in page likes. Of course, we care that people like your page and want that number to grow. But as far as regarding it as a measurable value it has absolutely no meaning. What we do care about is engagement. 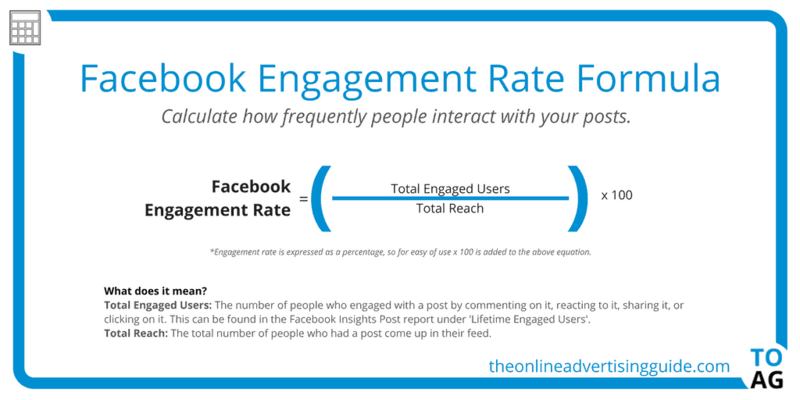 Engagement is measured by determining the number of people that have commented, liked, or shared your post. This includes all of the emotional reactions to posts, not just the thumbs up. 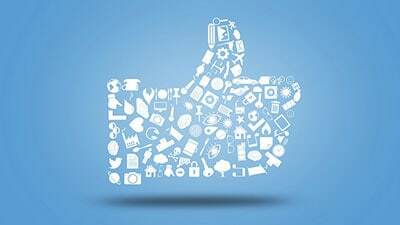 As you can imagine, just because you have 10,000 page likes (or followers), that does not necessarily mean that 10,000 people are seeing your posts. Because Facebook is only interested in showing you things you are truly interested in, they rely on taking note of what you engage (like, comment or share) with. You may have noticed that some of the pages you follow on Facebook no longer show up your feed. That’s because the Facebook algorithm noticed that you don’t engage with that page and therefore Facebook assumes you’ve lost interest and no longer shows you those posts. So how do see your engagement rate? Fortunately, Facebook measures these kinds of things so it’s easy to take a look at how many people are engaging with your posts on Facebook. On your business page click the Insights tab at the top of the page. If it’s not obvious, it could be hidden under the More tab. On the Insights page click Posts on the left-hand side. Scroll down to All Posts Published. On the right, click the furthermost down arrow and choose Engagement Rate. Just looking at the raw Engagement numbers will only tell us part of the story. 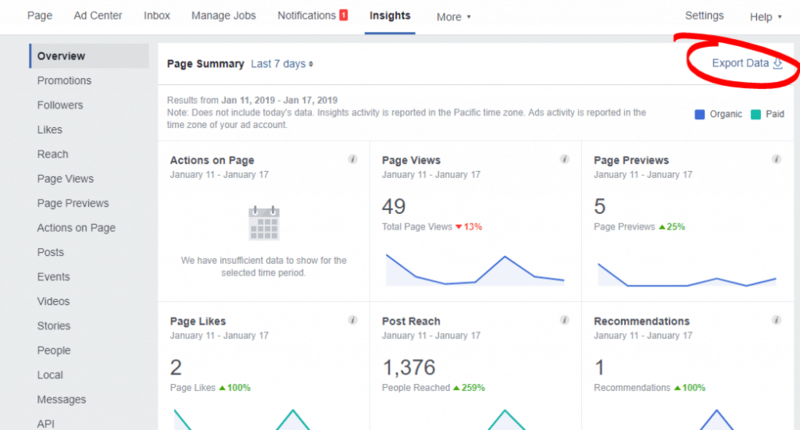 The Engagement Rate is calculated by dividing Total Engaged Users by Total Reach and then multiplied by 100 to show a percentage. 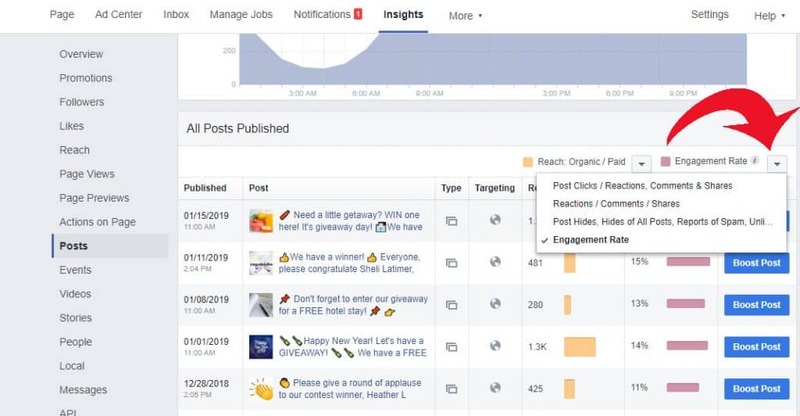 Using Engagement Rate gives us a better idea of how many people engaged with your post based on those who actually saw it. Thus a better indicator of how well your content is working among your audience. 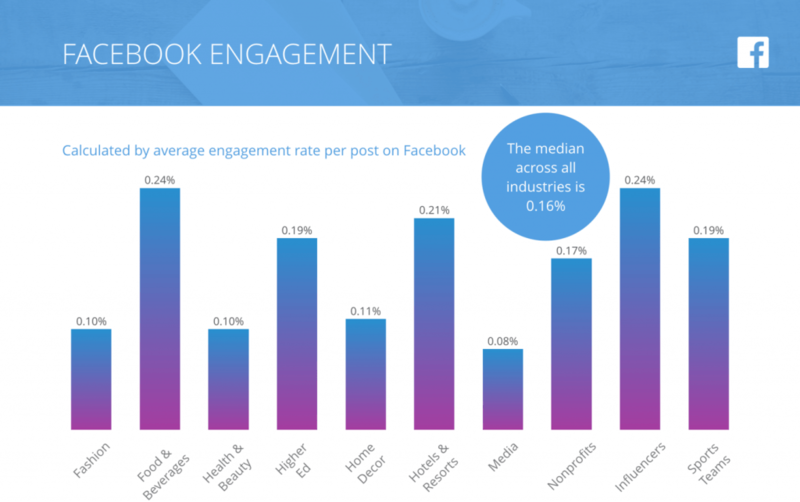 Facebook will sometimes skew data so it’s best to calculate Engagement Rate on your own. This is easy to do by exporting data from Facebook and using the formula above. To export data click on Insights and click on Export Data on the upper right. You’ll then be prompted to select the kind of report you’d like to export. Select Post Data and the date range you’d like to calculate. Keep in mind that you can extrapolate data for the past two years at 180 days at a time. You can then calculate the Engagement Rate or just let Excel calculate it for you by using the formula seen in the example below. Now that you’ve calculated Engagement Rate, how do you know if the numbers you’re seeing are actually any good? There are varying opinions on what makes a good Engagement Rate. You can find numbers that range anywhere from 1 to 20%. Since we have a good deal number of clients who own restaurants, let’s take a look at this study that compared engagement among industry. Rival IQ found that the average post engagement for Food and Beverages was 0.24%. And the median across all industries was 0.16%. With our clients, we focus on more of an upward trend in engagement. If over time we’re losing engagement, we take a closer look at things like content, time of posting, demographic, etc. The important thing is to establish a baseline so you can measure your success (or failure) over time. 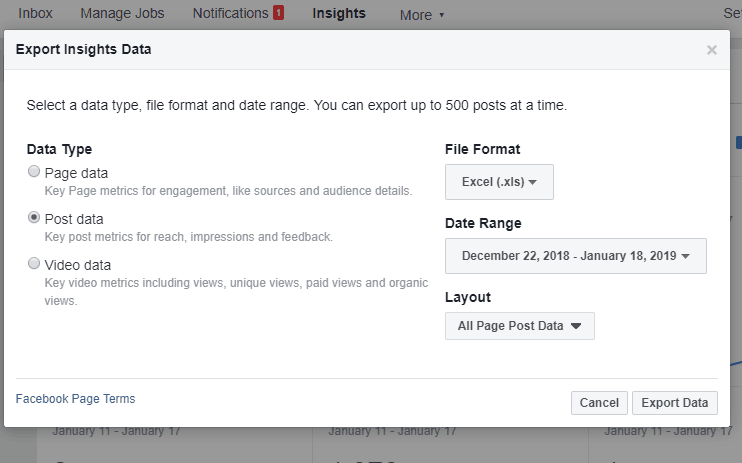 Looking at page likes is misleading because Facebook doesn’t allow all of your page followers to see all your posts (and some people don’t see any of your posts at all). The best way to beat the algorithm is to consistently post quality content that gets engagement - likes, comments, & shares. Did you know you could be losing sales from your negative reviews? Click the graphic below to get our handy infographic and prevent losing future sales! HI. LET’S TALK SOCIAL MEDIA THAT WORKS. See how humanized social media can drive new business through engaging your audience. ©2019 HospitalityFan, Inc. All Rights Reserved. 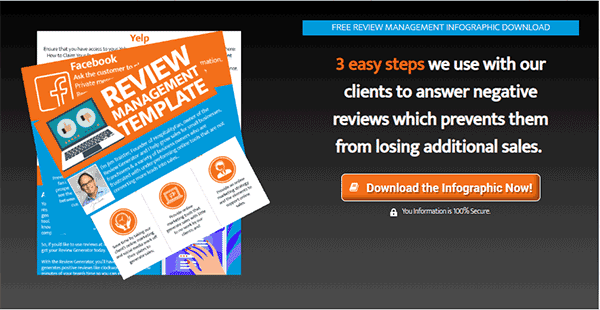 3 easy steps we use with our clients to answer negative reviews which prevents them from losing additional sales. 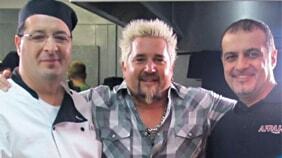 I agree to the use of my data by HospitalityFan Inc. to email me resources and marketing offers. All emails include an unsubscribe link.